Chuyên bá Laptop đồ họa VGA rời 2G, Laptop Dell Latitude E6540 I7-4600M, Ram 4G, ổ cứng SSD 128G, màn hình Full HD 15.6 inch 1920x1080, VGA rời Ati Radeon 8790M, bảo hành 3 tháng. 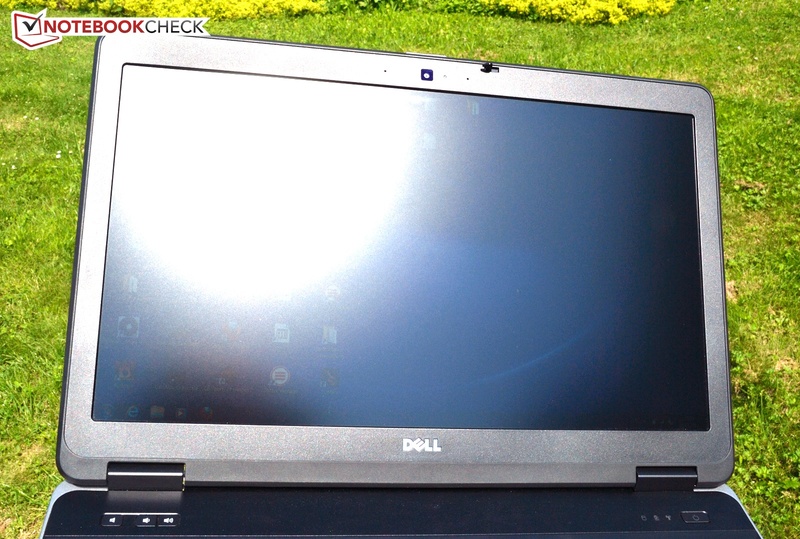 Dell is quick... and offers one of the first business notebook based on the latest Intel Haswell architecture. For 1,860 Euros (~$2455) you get a powerful Intel Core i7-4800MQ in combination with an AMD Radeon HD 8790M and a small SSD. We just reviewed the predecessor Latitude E6530 back in February and reported in April that the first Haswell processors are scheduled to launch in June. Now in July we can already review the updated successor, the Latitude E6540. Dell is ahead of the competition, most manufacturers did not even announce the switch to Haswell processors for their business devices yet. The graphics solution is also brand-new; the AMD Radeon HD 8790M is still very rare so we will have a closer look at it in this review. The dedicated graphics card has sufficient performance for tasks beyond the typical office applications but that does not include very demanding CAD applications; the consumer graphics card is not certified for that. Our review unit is very close to a workstation in this configuration. All the competitors are still based on Intel”s Ivy Bridge architecture. We mainly compare the Latitude with the Toshiba Tecra R950, Lenovo ThinkPad T530 and the HP EliteBook 8570p, but also with its predecessor, the Latitude E6530. The case has also been updated and the Latitude E6540 has a slightly changed design. The predecessor convinced us completely and got a very good verdict. Are all the positive characteristics still present after the update? Once again, there have been small changes: The dark gray, brushed display cover of the predecessor has been replaced with a polished, matte aluminum cover. Small details like the keyboard frame have also been changed; it is now black, similar to the keyboard and the palm rest. The latter is made of rubberized plastic and leaves a high quality impression but is not easy to clean. Fortunately, it does not really attract grease spots or fingerprints. Dell especially advertises the solid construction of the new Latitude with keywords like Military standards or Tri-metal chassis and the stability of the notebook is actually very good. It cannot be twisted and only the display cover can be slightly pushed in. The critical area above the optical drive however is very stiff; magnesium is used inside the case to improve the construction but has a negative impact on the weight: We measure a total weight of 3.0 kg (~6.6 pounds) with the protruding 9-cell battery. The hinges are sturdy but cannot eliminate a slight bouncing of the display. One latch is used to close the display cover; the predecessor Latitude E6530 had two latches in comparison. 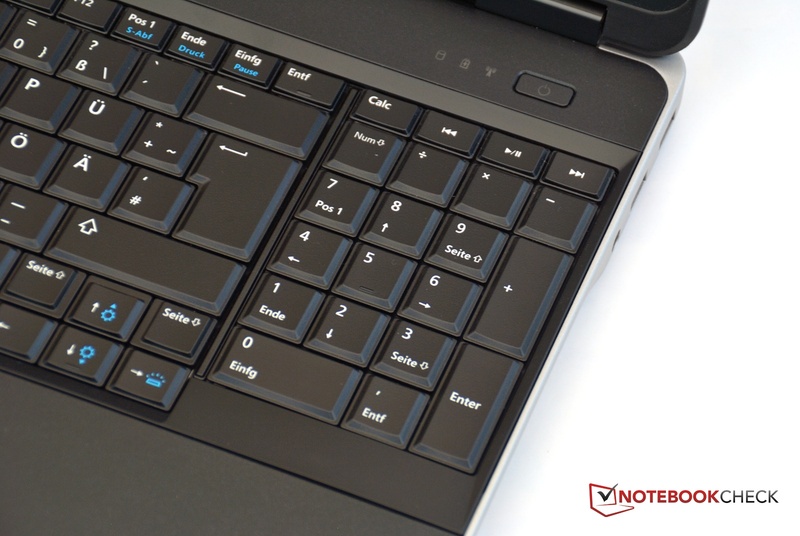 Overall, the build quality of the new Latitude cannot completely convince us. The expectations are not small with a price of 1,800 Euros (~$2376) and the imprecise gaps and a slight offset of the display cover do not match these expectations. Otherwise, the build quality and used materials leave a high quality impression. The second latch has been removed. 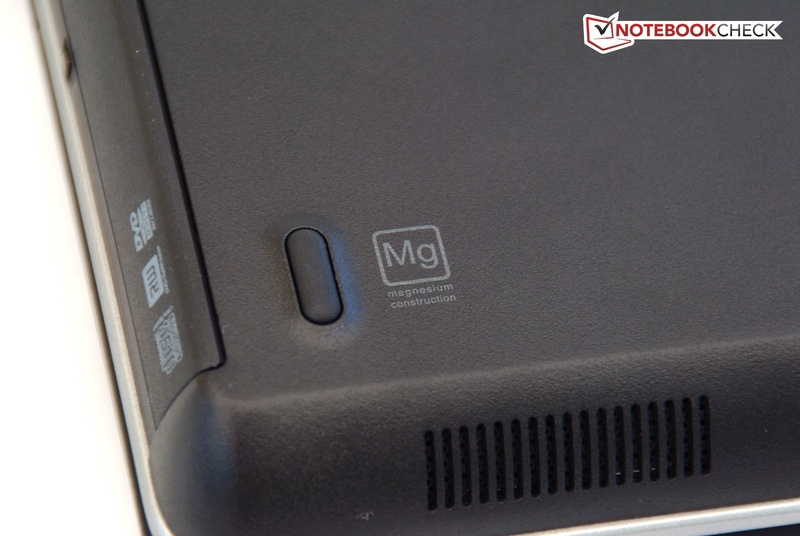 Our review unit does not stand out from consumer notebooks in regard to the port equipment: HDMI, VGA and Ethernet port can still be found in many notebooks. There is also a combined stereo jack for headphones and microphones; the card reader can only handle SD cards. The four USB 3.0 ports are a positive aspect, the eSATA port of the predecessor is not available anymore. 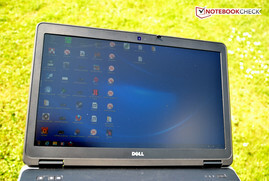 There is also another configuration of the notebook in the Dell shop but it is currently not available. It includes all the typical ports for business devices: ExpressCard 54 mm, SmartCard and fingerprint reader. The competition is superior in this regard: Toshiba Tecra R950, ThinkPad T530 and HP EliteBook 8570p are equipped with FireWire 400, eSATA and DisplayPort. At least all the ports, except for FireWire, can be used with the optional Dell docking station. We really like the port layout of the Latitude. All the ports are located at the rear area of the device, so an attached VGA cable, for instance, is not disturbing. The USB ports are at both sides and also at the back, finding an empty port is usually no problem. Besides the mandatory Gigabit-LAN Dell also integrates the high quality Intel Centrino Ultimate-N 6300, which has a better reception with three antennas and works with all a/g/n wireless networks. Even a distance of 40 meters (~44 yards) to the router and a wall in between were no problem at all. There is also an UMTS module for Internet on the go, the Sierra Wireless MC8805 supports HSPA+, GSM, GPRS and EDGE; LTE is not available. 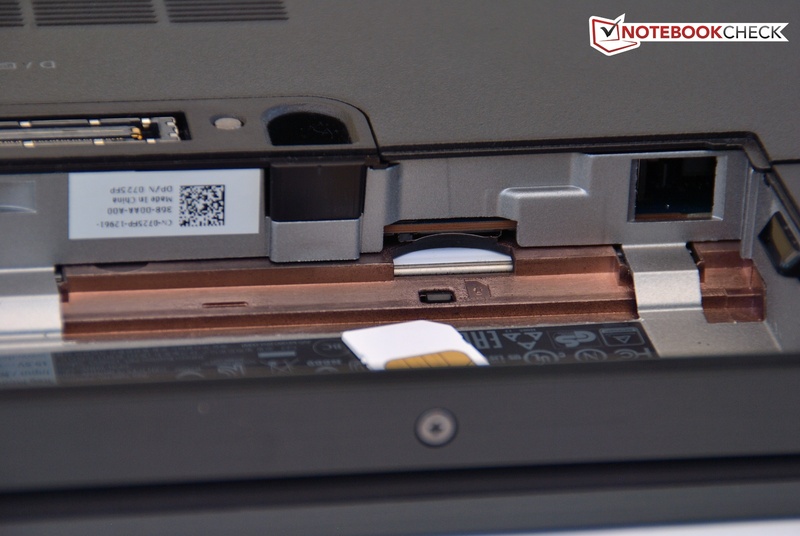 The SIM card tray in the battery slot only supports micro-SIM cards. 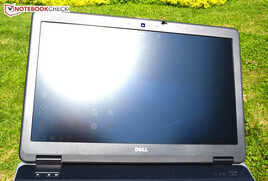 According to Dell, the Latitude E6540 is the most secure notebook in the world. The fingerprint reader and TPM modules are certified according to the FIPS 140-2 standard, unfortunately all that is currently not yet available. At least the provided Dell Protected Workspace is an effective malware protection. There are many accessories for the Latitude E6540: You can purchase a docking station for 180 Euros (~$238) and a stand for 125 Euros (~$165), which lifts the notebook display to a more ergonomic height. A 6-cell battery is also available for around 50 Euros (~$66) if you do not like the protruding 9-cell battery. The optical drive can also be removed and replaced with other accessories, for instance a 3-cell battery for 110 Euros (~$145) or other optical and hard disk drives. Easy maintenance is very important for business notebooks. Nothing changed in this regard compared to the predecessor. You have to lift the whole bottom cover to access RAM and PCI Express. 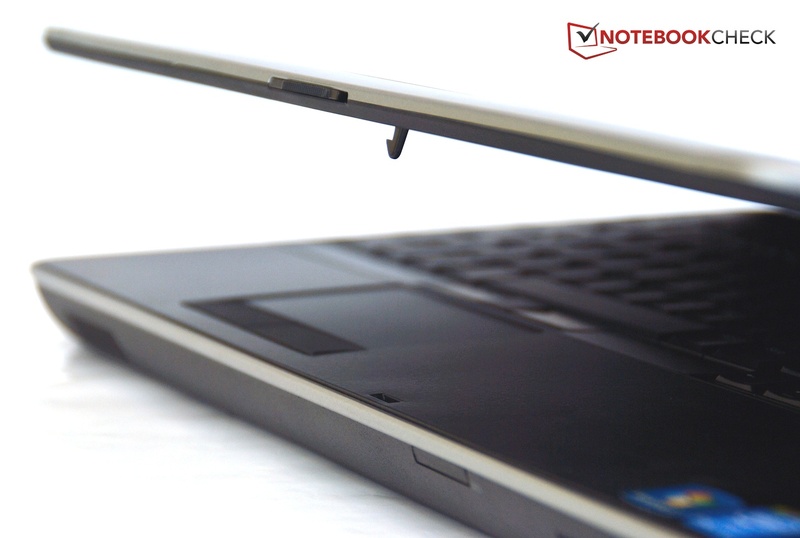 The cover is secured with just three screws; the HP EliteBooks provide a more comfortable solution without screws. Once you have lifted the cover you have access to all the important components: Fan, RAM, WLAN and WWAN module, even the CMOS battery are accessible. Optical drive and mass storage can be replaced from the side, the removal of the bottom cover is not necessary. Three years ProSupport is preselected in the Dell shop. For 108 Euros (~$142) (excl. tax) you get comprehensive support with the installation and operation of the new system as well as an On-Site service on the next business day. Without this additional charge you get a 3-year Standard service, which also includes On-Site service on the next business day. Both services can be extended up to 5 years. Input devices are very important for frequent writers. The predecessor got an excellent rating in this category and the keyboard of our review unit is certainly above average. 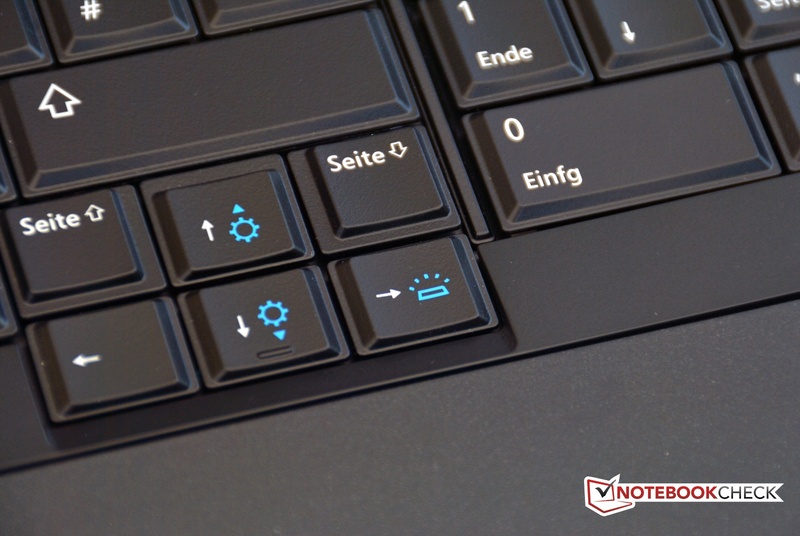 The four-stage adjustable background illumination as well as the numeric keypad is not standard for all notebooks. 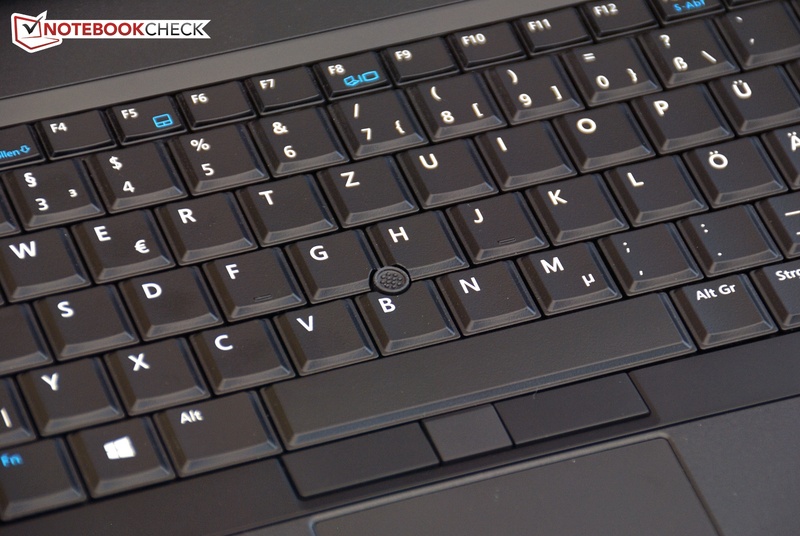 Nowadays the traditional keyboard design is also unique, Dell decided not to use a chiclet keyboard. HP, Lenovo and Toshiba followed this trend. The typing experience is also convincing. The key stroke might be a tad too firm for a few people but you get a distinct feedback; the key travel is more limited than we expected. Unfortunately, the keyboard itself is not very firm everywhere, we determine some bouncing around the A-key and the numeric keypad and the keyboard can be dented. 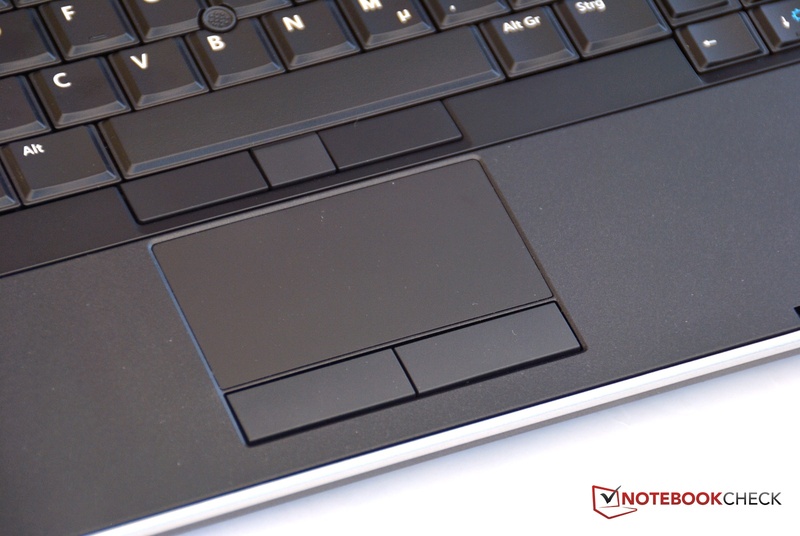 As usual with business notebooks, Dell gives the customer the choice between touchpad and point stick. The associated software has various settings for both input devices and you can set them up based on your requirements. The size of the touchpad is not very generous with 80 x 43 mm (~3.2 x 1.7 inches) and is surpassed by all the rivals. Touchpad and point stick are very precise; the buttons work well and give a distinct feedback. There are numerous settings for the button as well. ...the point stick are also very good. Dell advertises two different displays with 1366x768 and 1920x1080 pixels, but once again, only one of the two displays is currently available. 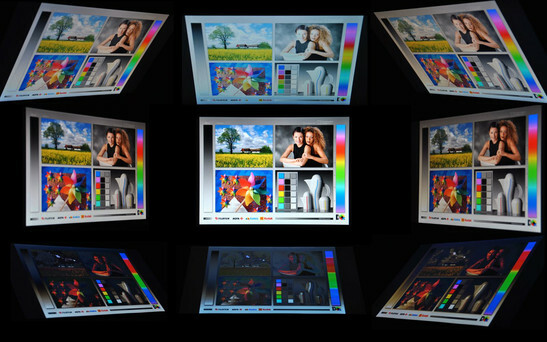 It is the Full HD display with LED backlight; the display surface is matte and prevents annoying reflections. The 15.6-inch display is provided by AU Optronics and has the designation B156HW02. We criticized the limited choice of resolutions in the review of the predecessor. Our review unit had the same problem with only three resolutions but a driver update for the Intel HD Graphics 4600 solved the problem and we could select all the common resolutions. 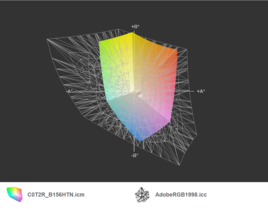 The average display brightness of 297.2 cd/m² surpasses all the competitors, which are between 220 and 280 cd/m². You can obviously reduce the brightness and go easy on your eyes in darker environments. The brightness distribution is okay but not overwhelming. The difference between the top with 323 cd/m² and the ride side with 275 cd/m² is quite big but should not be visible during normal tasks. The high display brightness is not reduced on battery. The black value of 0.434 cd/m² is decent and combined with the high brightness we determine a contrast ratio of 721:1. Texts are sharp, pictures and videos are very crisp. The display cannot cover professional color spaces, the standard sRGB is not covered and the Latitude E6540 can only display around 50% of AdobeRGB. You also have to search quite a while among the competitors before you find a suitable display. The HP EliteBook almost completely covers sRGB; the Full HD panel of our ThinkPad W530 almost reaches AdobeRGB. However, color spaces are only important for a small customer group. A look at the measurements of our colorimeter shows quite big deviationswith the grayscale presentation as well as the color accuracy; the panel has a slightly visible blue cast. However, the only visible deviation is magenta with a DeltaE value of 7. A calibration did not noticeably improve the situation. Due to the high brightness and the anti-reflective surface the display is well suited for bright environments including outdoors. Even direct sunlight is no problem, the display content remains visible. You just might have to adjust your viewing angle. The display is no IPS panel, but the possible viewing angles are pretty wide. A view from the side shows almost no deviations and it is certainly no problem to enjoy the content with more than one person. Even from abovethe picture remains very stable. The only problem is the view from below; you can hardly see the picture because it gets darker and starts to invert. Usually you can configure almost all the components according to your requirements in the Dell shop but that is not the case at the time of this review. There is just one available CPU and GPU each and you can choose between two storage solutions, however, one of them was currently not available. Fortunately that is not a huge problem. The Intel Core i7-4800MQ is a brand-new high performance quad-core CPU. If the integrated Intel HD Graphics 4600 is not sufficient you can switch to the dedicated graphics card AMD Radeon HD 8790M with 2 GB memory. Memory equipment is 8 GB DDR3 RAM with two 4 GB modules, the integrated storage solution with 128 GB unformatted storage is not really generous, at least it is a fast Solid State Drive. Intel”s Core i7-4800MQ is the second fastest quad-core CPU based on the latest Haswell architecture. The nominal clock is 2.7 GHz but it can be raised via Turbo Boost up to 3.7 GHz for single threaded applications and up to 3.5 GHz if you stress all four cores simultaneously. However, the Turbo Boost is never utilized to its full extent. With Cinebench R11.5 Multi and Dell”s Ultra Performance energy profile the clock fluctuates between 3.0 and 3.4 GHz. The results are therefore worse than the Schenker W503 for instance, which has a performance advantage of around 9%. Despite that, the CPU performance is very good and the Latitude can easily surpass all the competitors, but you have to keep in mind that they all use dual-core processors based on the older Ivy Bridge architecture. The performance is not reduced when we use the battery. A fast processor, dedicated graphics card and especially important an SSD: Ideal conditions for the system benchmark PCMark7. The Latitude E6540 takes a very high position on our benchmark list. Only the Schenker W503, which was also ahead in regard to the processor performance, can clearly beat the Latitude. Competitors with Ivy Bridge CPU”s cannot keep up with this performance. Dell”s storage solution deserves praise and criticism at the same time. The SSD is provided by LiteOn and has the designation LCS-128M6S. The designation already suggests it; the storage capacity is just128 GB. Out of the box the user can only use 62 GB. This does not really meet the requirements of the high-end configuration. We would have at least expected twice that capacity. There is also no additional hard drive bay to store data on a conventional hard drive, but you can at least replace the optical drive with a hard drive module. 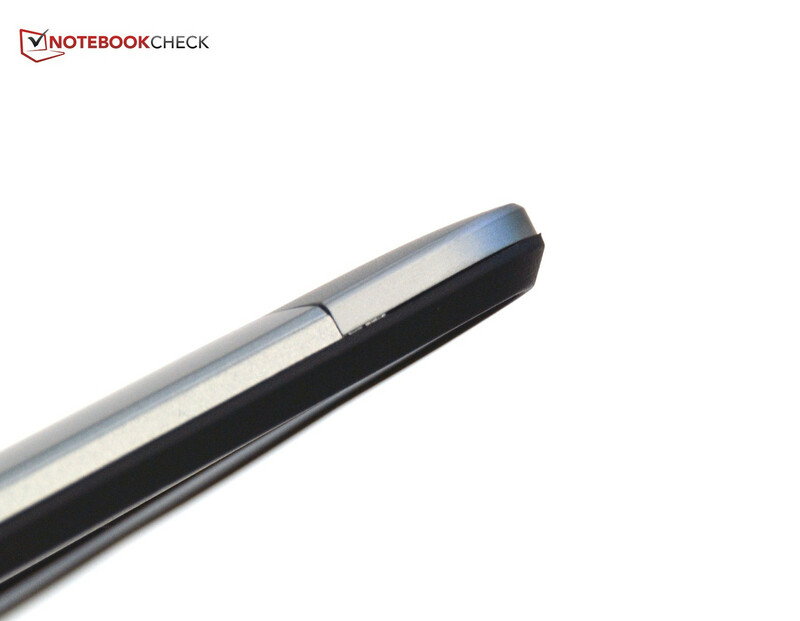 However, there is no criticism with the performance of the SSD; transfer rates and the low access times are very good. Reference values can be found in our benchmark list. The following bar chart shows two business devices with good Samsung and SanDisk SSD”s; both of them are surpassed by the integrated LiteOn SSD. The Latitude E6540 has two graphics solutions. The Intel HD Graphics 4600 is integrated into the CPU and has a performance advantage of around 30% compared to the old Ivy Bridge HD Graphics 4000. The integrated graphics solution has sufficient performance for many applications. We are a bit surprised about the AMD Radeon HD 8790M as the dedicated graphics card. 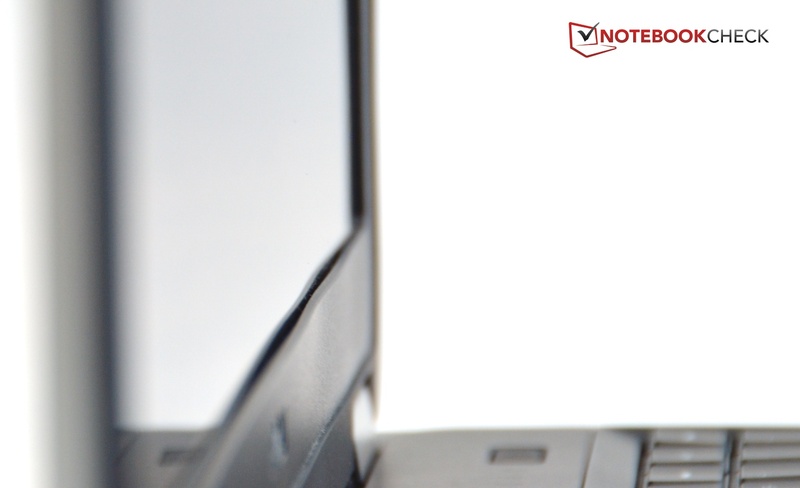 Business notebooks are usually equipped with Nvidia-NVS or AMD FirePro cards, especially if they have to complement a very good integrated graphics card. However, the CAD performance of the Latitude E6540 is surprisingly good in SPECviewperf 11 and should be sufficient for less demanding CAD models. A SPECviewperf 11 performance comparison with the competition can be found at the end of this review. Switching between the integrated and dedicated graphics is not possible when you run an application; you can assign the graphics card when the application is closed. The automatic choice is not always convenient, some games, for instance, used the integrated HD graphics. The results of the synthetic graphics benchmark 3DMark are very good; the AMD Radeon HD 8970M gets 2,425 points in 3DMark 11 and is clearly ahead of the competition. Gamers are not the target group for the Latitude series, but the notebook is certainly well suited for games with the dedicated graphics card. Many games can be played with high details, some of them even with the highest settings. The native resolution of 1920x1080 pixels is never a problem, although you might have to reduce some settings from time to time. Far Cry 3 for example has an average frame rate of 39.6 fps with Full HD and low details. The minimum frame rate is 28 fps, which is below the 30 fps mark but still playable. Despite the silent SSD the notebook is not really quiet. The fan is audible during idle with 33 dB(A); we measured 35.5 dB(A) during DVD playback and you can clearly hear the DVD drive in quiet movie scenes. The system noise is increased to more than 40 dB(A) under load, which is always present. In addition there is a slight whining of the fan, however this is only audible in quiet environments. During idle and common office tasks the surface temperature at the top is around 30 °C (86 °F). Therefore, the palm rest stays conveniently cool. The bottom warms up to around 33 °C (91.4 °F) in the center; using the notebook on your lap should be no problem although lengthy use could be too warm for some people. The stress test shows the impact of the high performance processor and graphics card. We measure high surface temperatures; the palm rest is still unproblematic with almost 32 °C (89.6 °F) but the keyboard warms up to 44 °C (111.2 °F) at some spots. The bottom is even worse with up to 54 °C (129.2 °F). Our stress test tortures the processor and the graphics card for more than one hour. It determines if the cooling system is sufficient. The graphics performance remained constant for the whole test; the base clock fluctuates between 850 and 900 MHz. The temperature leveled off at 87 °C (188.6 °F). The performance of the CPU on the other hand fluctuates more; after a short while the maximum clock of all four cores is at 1.7 GHz. The temperature of the CPU is raised to 98 °C (208.4 °F) in this case, which is pretty close to the maximum allowed temperature of 100 °C (212 °F). The result is a reduced clock of 1.1 GHz, even lower than the nominal clock. Unfortunately, this is a case of throttling. As soon as the temperature is below 90 °C (194 °F) the clock is raised again and fluctuates between 1.3 and 2.0 GHz. A 3DMark 06 benchmark run directly after the stress test results in a lower score, it drops from 13,118 to 11,947 points and the impact on the CPU score is even worse: 3,928 instead of 5,411 points. If you use the notebook under maximum load for a long time you cannot use the full performance of the components. The speakers are very loud and should have no problem supporting a presentation in a small room. There are no deviations with high volumes, but you should not expect too much sound quality. Bass does not exist, otherwise the performance is clearly above average. The energy consumption adjusts well to the requirements. We only measure around nine Watts during idle. This good value is realized with a reduced display brightness, deactivated AMD Radeon HD 8790M and the, compared to a conventional hard drive, frugal SSD. The processor also has several energy saving features and automatically reduces its clock. The competition cannot keep up with these results, they consume between 9.5 and 14.5 Watts during idle. Only the predecessor Latitude E6530 is more frugal with 8.4 Watts. The situation changes under load. With the maximum display brightness, activated WLAN and Dell”s Ultra Performance energy profile the notebook consumes 16.7 Watts during idle. Our stress test with maximum load for the CPU and GPU increases the consumption to around 90 Watts. The power supply unit is sufficiently dimensioned with a power output of 130 Watts and thus enables simultaneous charging of the battery. Dell”s 9-cell battery has a very large capacity of 90 Wh, which is enabled by a protruding design. If you do not like that you can purchase a smaller 6-cell battery - another battery for the modular drive bay is also available. We determine the maximum battery runtime with the Battery Eater Reader’s Test that simulates reading of a document. The display brightness is reduced, all the wireless connections are deactivated and we use the energy saving profile. The Latitude E6540 manages a runtime of more than 8 hours in this scenario. The more realistic WLAN scenario simulates web browsing with an adjusted display brightness at around 150 cd/m². We use the Quiet energy profile from Dell and the result is a runtime of six and a half hours. Competitors from HP, Toshiba and the predecessor only have a 60 Wh battery so the runtimes are worse. The ThinkPad T530 however manages around eight hours with a similar battery capacity. The runtime during DVD playback is sufficient for almost all movies; the runtime under load is comparatively short with one and a half hours because of the high energy consumption. A complete recharge of the battery takes around two and a half hours. 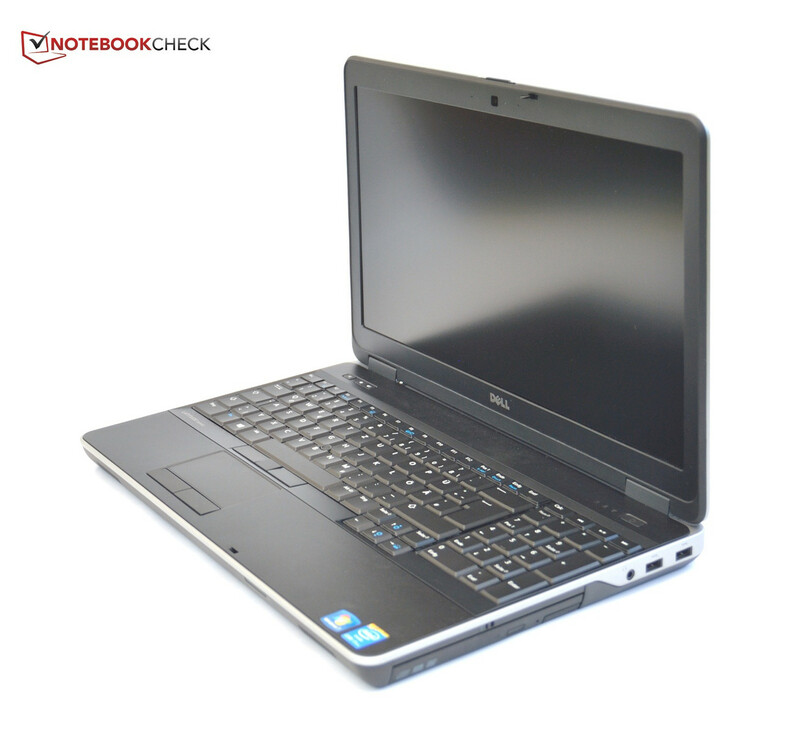 The Dell Latitude E6540 is a business notebook, so the display, input devices, quality and service are especially important. The E6540 does not disappoint us and is convincing in these categories. The slightly bouncing keyboard and the small quality problem at the display cover are compensated by the matte Full HD display. A small drawback is the limited port variety; you have to waive ExpressCard, FireWire and DisplayPort. Our review unit also lacks security features like a fingerprint or a SmartCard reader. So far, the Latitude E6540 does not stand out from the competition but it is equipped with the latest and very powerful components. If you want to buy a new business notebook based on the Haswell architecture there is almost no alternative at the moment. The competition cannot keep up in regard to the performance but the price for this is the high emissions and throttling under maximum load. The large 90 Wh battery has sufficient power for mobile working (runtime of 6 to 7 hours). Due to these small drawbacks, the notebook will certainly not be ideal for everybody and a retail price of 1,860 Euros (~$2455) is also quite expensive.